This is my May/June 2011 Davis Mountains astronomy pictures page. One again I had some spotty weather; with one very good night, one pretty good night, and a couple fair to poor nights of imaging. Plus, on Thursday morning the Davis Mountains caught fire (see below for pictures.) My 2011 scenic pictures are here. My Main West Texas Astrophoto page is here. 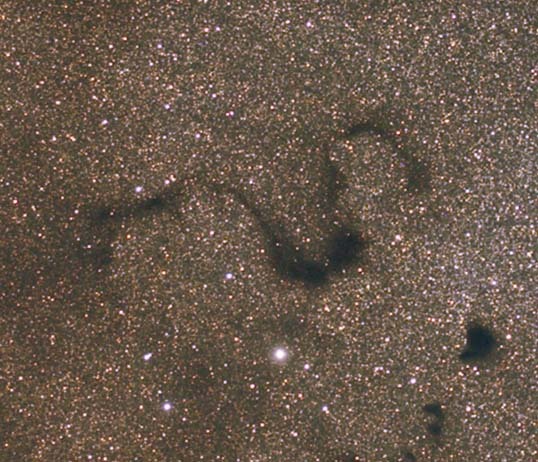 Check out the very large image of the snake and other dark nebulae on my Snake Nebula Page. 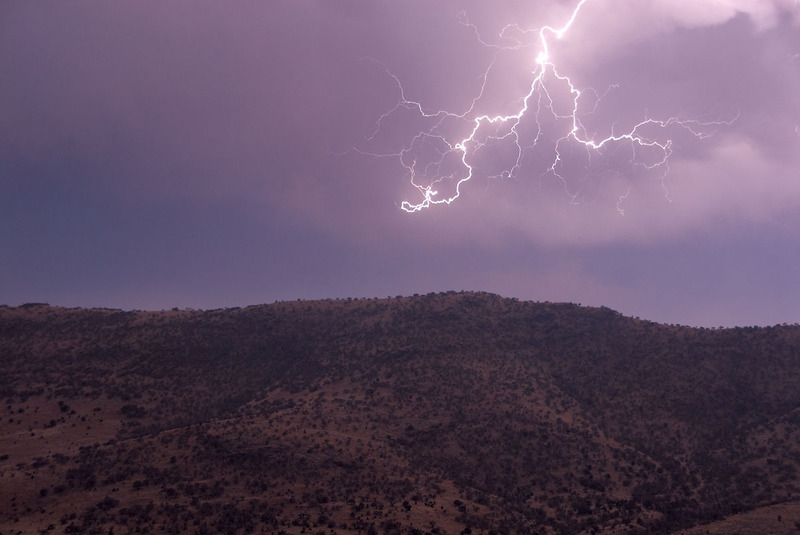 This & the next image reflect early results from the 2011 Spring Davis Mountains Trip. One hour total exposure through the Takahashi FSQ-85 Telescope, AP 900GTO mount, QHY8 CCD Camera. Needs a little flat-fielding but nice first results I think. This links to my primary M20/M8 page, for more information about these objects. 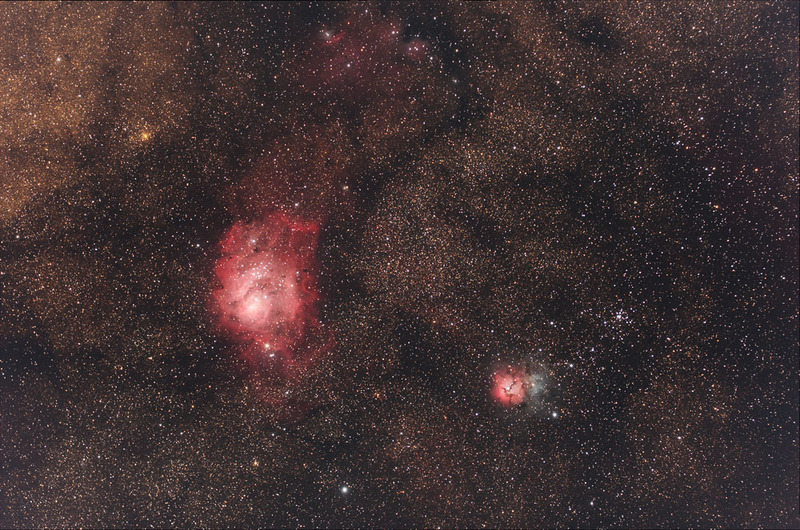 The area above the Lagoon Nebula includes NGC 6559 and Barnard dark nebulae 302 and 303. This page has more information and a narrowband shot nicely showing the dark nebulae. Antares Area: The Sky's Best! 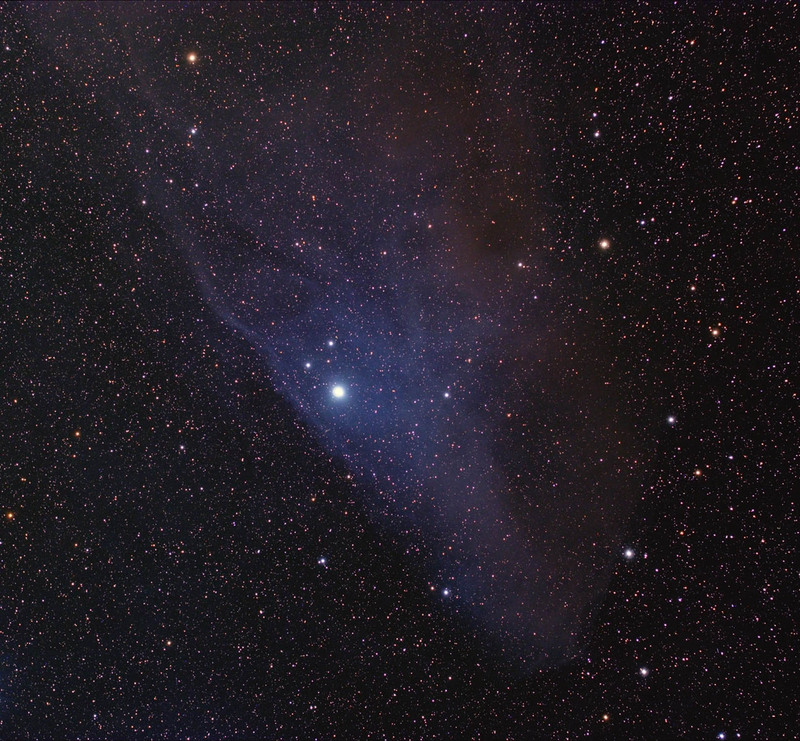 Exposures from this trip were used for Antares & IC4603 enhancements; see links above. Unfortunately, I believe this lightning storm let to the fire that cut this trip short. 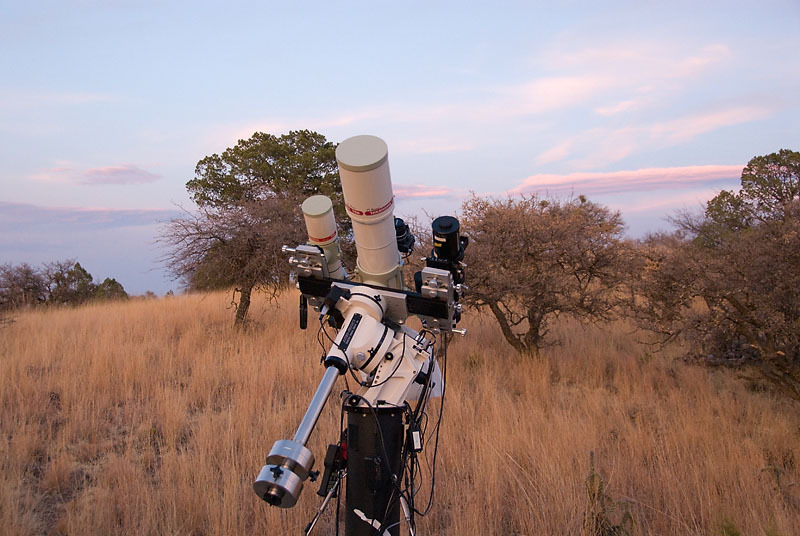 Main West Texas Astrophoto page is here. Nite 1, 5/27/11: (Friday) After driving all day I set up and started shooting around 11:00 p.m. and had a clear night. On this night I learned that the RGB filters are not parfocal, meaning it is necessary to re-focus my ST8300 camera ever time I change filters... The RGB shots from this night were not usable. Nite 2, 5/28/11: (Saturday) Had clear skies and shot all night. Nite 3: 5/29/11: (Sunday) Poor transparency early, imaged from midnight until dawn. Cabin swamp cooler was leaking and cabin ran out of water! Hauling water from "office" and manually filling swamp cooler is working OK! Nite 4: 5/30/11: (Monday) No good early; set the alarm for 2:00 a.m. (and John came by and yelled at me at 2:02! ), and was imaging by 2:45 am (on the 31st) until dawn. Tuesday and Wednesday were clouded out. Thursday morning began with me chilling out with coffee on the front porch and finally feeling relaxed... Then I noticed an abnormal amount of air traffic, followed by a realization the area was on fire! I decided to bug-out immediately, so I packed up and headed home!